Lowe's Companies, Inc, the home improvement retail giant, has announced the appointment of Seemantini Godbole as chief information officer, effective November 12. Godbole was previously senior vice president, digital and marketing technology, at Target Corporation. Godbole brings to Lowe's more than 25 years of global technology experience, a media release said. She helped lead Target's digital technology transformation, including the re-architecture of the company's digital platforms, implementation of agile product management and the introduction of technology for new customer experiences including the mobile applications, buy online and pick up in-store and ship from store programs, guest order fulfillment, digital wallet, localized pricing, and customer loyalty and engagement offerings. Godbole has led the development of long-term technology roadmaps, portfolio planning and engineering, operational support functions and e-commerce platforms. "Seemantini is a tremendous addition to the Lowe's executive leadership team," said Marvin R. Ellison, Lowe's president and CEO. "She is a proven retail executive and brings to Lowe's extensive expertise in transforming digital platforms to drive outstanding results by focusing on the technology needed to improve the customer and associate experience. I am confident Seemantini is the right leader to advance Lowe's technology efforts for the future." 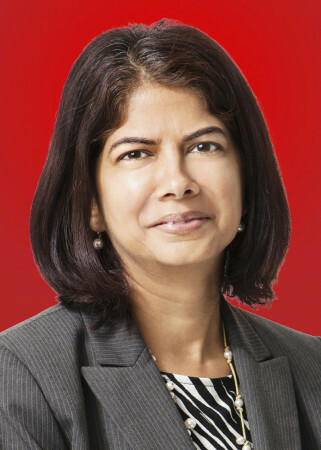 Prior to Target, Godbole also spent 15 years at American Airlines/Sabre and Travelocity where she held a variety of senior technology leadership roles globally. "I am excited to join Lowe's and look forward to strengthening our competitiveness by developing a world-class technology team that will meet and exceed the evolving expectations of the customer while also providing the right tools and technology for our associates," said Godbole. Godbole is a graduate of Texas Tech University, where she received a master of science degree in computer science. She also holds a bachelors of engineering degree in electrical and electronic engineering from the National Institute of Technology in India.